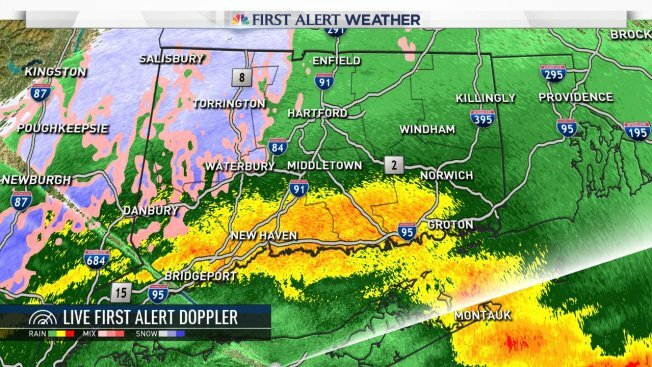 As expected rain has transitioned to a mix of rain and snow in the hills and some towns have even flipped to all snow. A combination of dry low level air resulting in evaporational cooling and a slow drain of colder air from the north. No accumulation is expected (on the roads at least) though I can't rule out a slushy coating in some of the high hill towns such as Norfolk, Colebrook, and Hartland. Even Wolcott at about 1,000 feet could see a slushy coating. As always, dual polarization radar was an incredible tool in tracking the the height of the above freezing level in the clouds. Radar allows us to pick up where melting snowflakes are occuring. 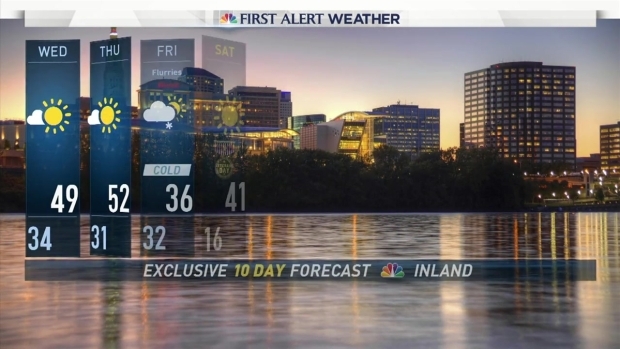 Beyond tonight the big story is going to be a blast of Arctic cold moving in on Friday. A brief but impressive surge of cold air will send wind chills into the single digits and teens by afternoon. A big change from our record warm October!